Elayne is a senior University Scholar concentrating in Political Philosophy and Great Texts. She will graduate in May 2017. She has completed three internships in Washington, DC including one with Congressman Ted Poe (TX-2), the House Committee on Ways and Means, and the Heritage Foundation. She has also completed Values and Capitalism Summer Honors Program with the American Enterprise Institute. 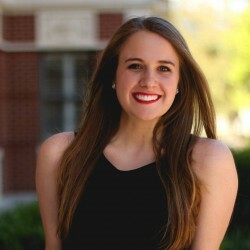 She is a member of Baylor Civitas, Baylor Ambassadors, and the Ampersand Society. Elayne hopes to go to graduate school in Political Philosophy. Tim is a senior University Scholar with concentrations in Political Science and Philosophy and is also a member of the Honors Program. 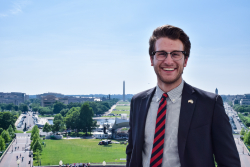 He spent the spring 2016 semester in Washington, D.C., where he studied politics at American University as part of the Washington Semester Program and interned at the United States Commission on Security and Cooperation in Europe. At Baylor, Tim serves as secretary for The Pulse and is a member of the Ampersand Society. Upon graduating in May, Tim plans to attend a graduate program in Political Science. Amye is currently a junior at Baylor University, pursuing majors in Economics and Finance along with minors in Political Science and History as a part of the Baylor Business Fellows Program. She is expected to graduate in May of 2018. This past summer she spent her time as a Mayborn Scholar interning for the Securities and Exchange Commission in Washington, D.C. where she worked closely with the Chief Compliance Officer in conducting internal audits and reviewing financial statements to abide by federal regulations. On campus, she serves as the Student Body External Vice President where she engages the Baylor student body with efforts in Waco, Austin, and D.C. Amye is also a member of the American Enterprise Institute’s Executive Council as well as her sorority, Delta Delta Delta. After graduation, she hopes to pursue management consulting in D.C. and eventually earn her MBA. 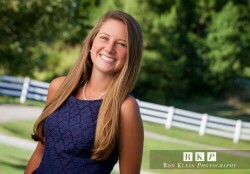 Megan is a sophomore double majoring in Political Science and Communications on a Rhetoric and Public Discourse track. She is in the Baylor Interdisciplinary Core, the Honors Program, and is Pre-Law. Here at Baylor, Megan is involved in Student Senate, International Justice Mission, Pre-Law Society, and Kappa Kappa Gamma. 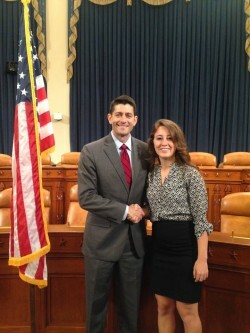 Last summer, Megan interned for Congressman Blaine Leutkemeyer in Washington, D.C. where she addressed concerns of constituents through daily phone correspondence, drafted correspondence to constituents on behalf of the Congressman, attended hearings and briefings, wrote memos for Congressional staffers, conducted legislative research and gave tours of the Capitol. Post-Baylor, Megan hopes to attend law school and possibly return to D.C.
Catherine is a University Scholar concentrating in Arabic and Middle East Studies along with Poverty and Social Justice Studies. She will graduate in May of 2019. At Baylor, she serves as a student assistant in the International Studies Office and as a student delegate in Model United Nations. Catherine spent Fall 2015 in D.C. working with the leaders of the National Prayer Breakfast and National Student Leadership Forum. 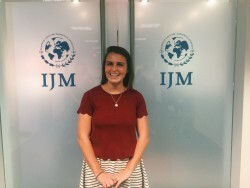 Catherine also spent Summer 2016 in D.C. interning at International Justice Mission. Catherine has a particular interest in languages, social policy, and peace and conflict studies. She would love to see her future schooling and career intersect these interests. 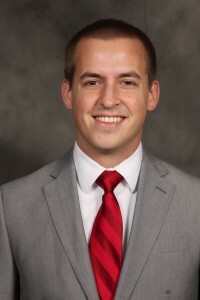 Paul is a senior Business Fellow studying economics and accounting from Jefferson City, Missouri. Growing up around a state capital, Paul gained an early interest in politics and government and as a senior in high school volunteered for a Missouri gubernatorial campaign. During his Baylor career, Paul has spent a summer interning on Capitol Hill with Congressman Kevin Brady of The Woodlands, TX and has been involved with the National Prayer Breakfast and the National Student Leadership Forum. 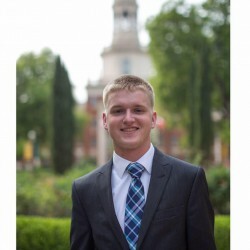 At Baylor, Paul has served the student body as a senator for Student Government and is currently the Director for Extra University Relations in the cabinet of the External Vice President. Paul also represents Baylor as a Visit Experience Representative and advocates on behalf of Baylor with Baylor Ambassadors. After graduating in August of 2017, Paul plans to join PriceWaterhouseCoopers' Advisory practice in the DC area and has future hopes of going to law school. James is a senior University Scholar in Baylor University's Honors College concentrating in Political Science, Philosophy, Chinese, and Economics. James is the Chair for the American Enterprise Institute's Executive Council at Baylor. Additionally, he is the Senior Baugh Fellow for the John F. Baugh Center for Entrepreneurship and Free Enterprise and the co-founder of the fellowship program within the Business School. 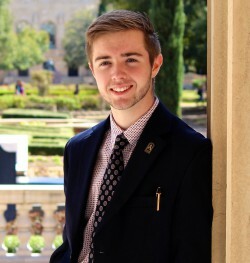 James has played an active role in Student Government and Baylor Ambassadors, holding multiple chair positions, as well as running for Student Body President his sophomore year. James has worked in the public sector as a congressional intern in D.C. for Congressman Sam Johnson during the summer before his sophomore year, and in the private sector at the American Enterprise Institute for the past two years and the Federalist Society during the summer before his senior year. James will be graduating in May 2017 and hopes to spend the following few years either in graduate school for Political Economics overseas, or working at either a think tank or as a staffer in Congress. Grant is a member of Baylor University’s Class of 2019, currently studying Political Science and History on a Pre-Law track within the Baylor Interdisciplinary Core. From his involvement in Student Government, Kappa Omega Tau, Baylor Ambassadors, and Moot Court, he has discovered a dualistic love for higher education and public service. In Washington D.C., Grant has attended the 21st Century Wilberforce Initiative Emerging Leaders Conference, the National Student Leadership Forum (a conference on servant leadership), and has advocated on behalf of Baylor University for affordable education, Title IX concerns, and religious liberty. After graduation, Grant plans on attending graduate school to study Higher Education to eventually serve within Student Life in a university setting.